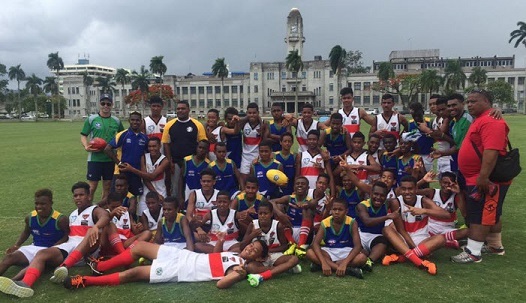 The end of a big week - once again, the following report provided by Ben Drew - AFL South Pacific Development manager. 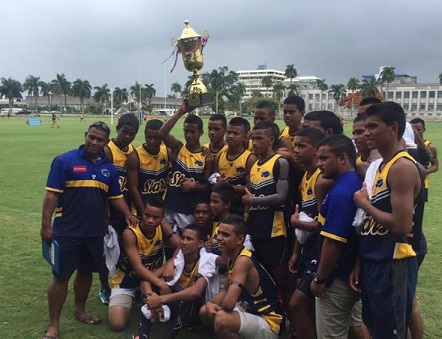 Today was GRAND FINAL Day for the AFL U/15 Youth Oceania Cup in Fiji. The weather was beautiful and the footy was terrific!!! Huge thank you to Fiji Sports Commission & Coke for their partnership for the event! 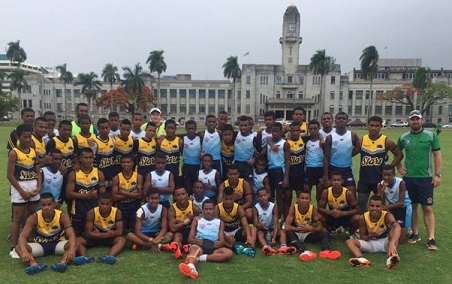 AFL Fiji, Siteri, Simon, Maciu, Matalita, Saula, Isimeli, Yabaki, Jiuta, Mere, Roko, Semesa, Va, Litia & everyone who has volunteered to run boundaries, do the goals & other jobs during the tournament. Once again AFL Fiji has been great in organising this event on the ground! South Pacific Talent Camp Squad will be announce on the 16th December. Those lucky enough to be invited to the talent camp will be sent information on the requirements for the tour regarding training, travel dates and other important information to know. The Tonga Thunder turned the table from the pool matches to record a win against the Solomon Islands sharks, the match was fantastic and close all day! 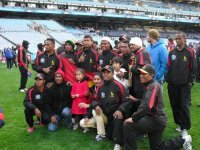 The Tongan team were able to kick 2 goals in the last quarter to seal their victory on the last day of the tournament. Both teams have had a terrific tournament and have done everyone back home proud! Well done the AFL Tonga & AFL Solomon Islands committee's & Volunteers for all the hard work you have put in to have these boys here for the week! What a fantastic, tough game of football both these teams played! the match was played at a fierce pace with the Fiji team taking it right up to the reigning champions. Nauru was able to settle and take their opportunities in front of goal to have a 2 goal buffer going into the last quarter. The Fijians hit the scoreboard early to get within a goal but the Nauruans hit back strait away. the ball flowed up and down the ground and the Fijians kicked another to be 1 goal down with 2 minutes to go! Fiji had the run of the last quarter but just could not manage to kick that last goal. Again, both teams have competed ferociously and had some close, hard fought matches! The matches have all been played in good spirits and have been very close finishes. Fair to say this match is one of the best to be played at the Youth Oceania Cup in the last 5 years! Big thank you to both AFL Nauru & AFL Fiji for all the hard work in training, organising and fundraising their teams to be here for the event! The boys have certainly done you all very proud!!! Did we find out why the Vanuatu Volcanoes didn't make it to these Championships?